It’s an analysis of the talking points in this Sunday Talk show post. We’ve got lots of Boehner and he didn’t cry once. Plus the most awkwardly worded question of the week. Others probably missed it but this Blogger caught it clear. The Pope and much more. FOX NEWS SUNDAY (Fox Network): Republican presidential candidate Jeb Bush; Reps. Tom Cole, R-Okla., and Mick Mulvaney, R-S.C.
MEET THE PRESS (NBC): Democratic presidential candidate Hillary Rodham Clinton; Republican presidential candidate Carly Fiorina. FACE THE NATION (CBS): House Speaker John Boehner, R-Ohio; Democratic presidential candidate Bernie Sanders; Republican presidential candidate John Kasich. THIS WEEK (ABC): Republican presidential candidate Ben Carson; U.S. Ambassador to the United Nations Samantha Power; Rep. Devin Nunes, R-Calif.; former House Speaker Newt Gingrich. STATE OF THE UNION (CNN): Carson; Democratic presidential candidate Martin O’Malley; House Minority Leader Nancy Pelosi, D-Calif.; Mayor Michael Nutter of Philadelphia. Fox News Sunday-Jeb Bush and Keystone-Yes. First let me clarify for yon reader that this alleged “feud” between Fox and Donald Trump is nonsense, always ask an expert such as myself before believing such crap. The Donald is an expert at keeping audiences “tuned” in, so to speak. No way would Trump boycott Fox for any length of time, at least not if he wants any PR time on the news networks. Trump has been a paid political consultant of Fox for some time now, usually he guests on Monday morning. The network and Trump used the Megyn Kelly flap to begin an alleged feud and, of course, they must keep it going. Donald Trump was absent on all Sunday political talk shows today, NOT just Fox. Jeb Bush made a sober and steady appearance on Fox News Sunday and he sold his economic expertise and plans quite solidly. In fact, if Jeb were not Jeb Bush, I’d give the guy much more slack than I normally do. Because I’m tired of Bushes and I’m pretty sure I’m not the only one. That and come on, Jeb’s been a little snarky to the Republican base. He obviously does not like us so fooey on him. The only people I speak to in the course of my political discourse (and I understand yon reader might dismiss this as anecdotal and I ask that you please do) who express a possibility of voting for Jeb Bush….are DEMOCRATS! Jeb said he’s going to build an energy independent America, including a big YES to the Keystone pipeline. Well I was going to call it the Battle of the Broads but, ahem….figured maybe I better not. 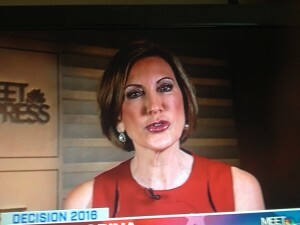 Now I like Carly Fiorina and I don’t care what she did to Hewlett Packard, goodness she worked there five years. I’ve worked difficult and grueling jobs all my life. You don’t stay on five years if you’re THAT bad. 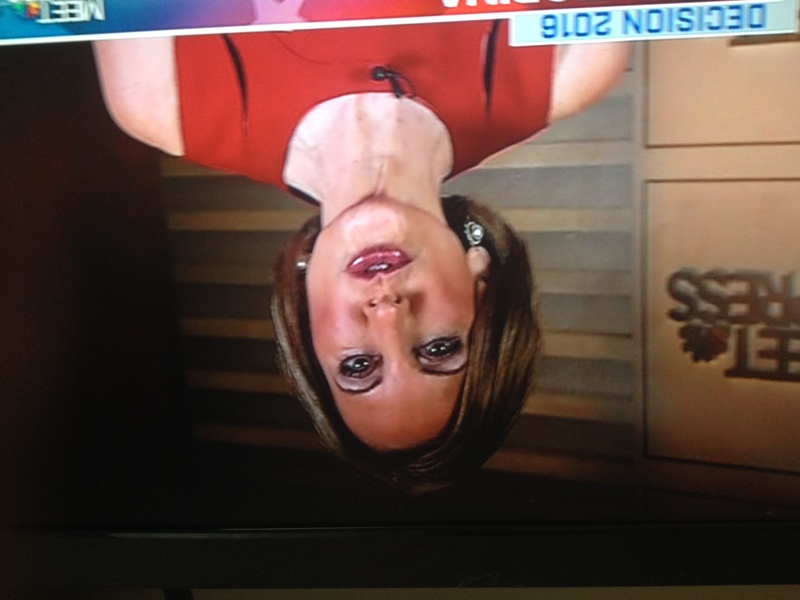 I also note, including picture that I tried to capture my assertion, that Carly had on an excessive amount of makeup. I hope she’s not trying to overcompensate for Donald Trump’s rude comment on her face…horrible man. 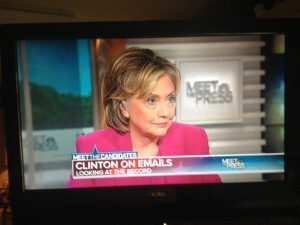 As for Hillary….heh. Lookit, she interviewed okay, was nice and cleaned up. But nothing has changed. No matter how much this woman smiles and assures us that she had some emails in a Colorado bathroom and some on her daughter’s husband’s mother’s computer and some were classified and some were about yoga and some about the wedding…..
Here’s the truth, thank me very much. Hillary didn’t want those at work to read her emails so she set up her server however the hell she wanted. It’s what she always does, it’s what she’s done since Arkansas and White Water and on and on and on. If her lips her moving, she is lying, simple as that. So we John Boehner on a few shows today and God Bless Him for his service to his country and may he enjoy and long and healthy retirement. His resignation was quite the smile this past week although I’ll believe it when I see it, not sure what “it” is but I’ll know it when I see it. Boehner told a story about his mother and her excitement at possibly meeting the Pope. 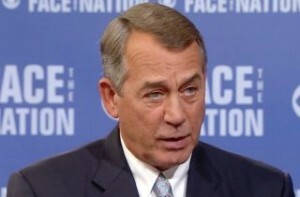 Boehner could not tell the moderator what the Pope said to him because, heh, it would make him cry. Bernie Sanders made an appearance on Face the Nation and goodness, did yon reader know that Sanders joined congress the same year as John Boehner? Sanders said pretty much nothing but mind, yon reader, those pesky polls. For since June of this year Sanders has gained almost 30 points up on Hillary. Things are not going so well for the Clinton campaign. ABC’s This Week-Weirdest interview and question of week. It was co-host Martha Raddatz who was interviewing Ben Carson. Yon readers know, of course, that this past week Ben said he would not support a Muslim for President. It was a bit more complicated than that as Carson told Raddatz as the prior dialogue before the Muslim response included Carson’s assertion that anyone willing to pledge support for our constitution and meets all other age and birth requirements should be able to run for President. It was just so weird so read carefully yon reader. Because Raddatz then shut Carson up and said she had other issues to address. Now I paraphrase, but Raddatz asked Ben Carson just the weirdest question: “There are plans to bring in some of these Syrian refugees to the United States. “You told me a few weeks ago that bringing people in from abroad is too dangerous right now. 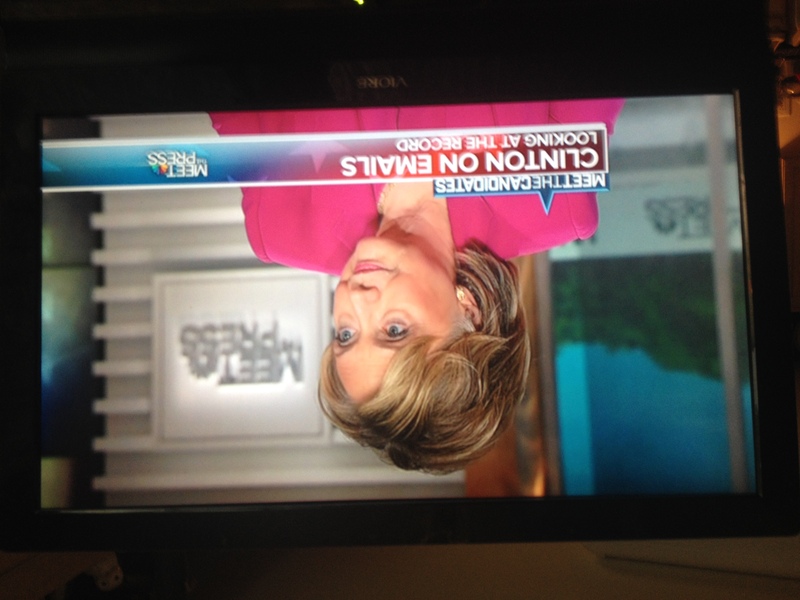 For authorities to track emails and phone calls they need “probable cause”. Do you think a person’s religion could be considered ‘probable cause’ “? Folks this is a “war against woman question” of the sort like the surprise thrown to Romney by…AHA…George Stephanopoulos at last election debates. ABC must have a direct line into Clinton campaign headquarters since Steffy contributes to the Clinton charity coffers so well. Cause I can see somebody calling up ABC and telling them to ask Carson this question, to put him on the spot, so to speak. What was her point? That if the Muslim immigrants come over we can’t just willy-nilly monitor what they do without some kind of probable cause? Well okay, who said that was going to happen? NO WAIT! Of course, ABC SAID IT MIGHT HAPPEN so let’s backdoor a Republican contender….NO WAIT….Ben Carson, he’s perfect….with this question. Pay attention cause the Democrats feel like they got a “gotcha” question and they’ll not likely let it go. When I tuned in to my DVR recording of this Sunday talk show we had the Pope giving some kind of talk to a bunch of wannabe priests. Every Sunday political talk show had some discussion and camera bytes of the Pope visit. I am Catholic and yes, I watched every second, every milli-second, every mote of time of Pope coverage, not that I’m proud of this. 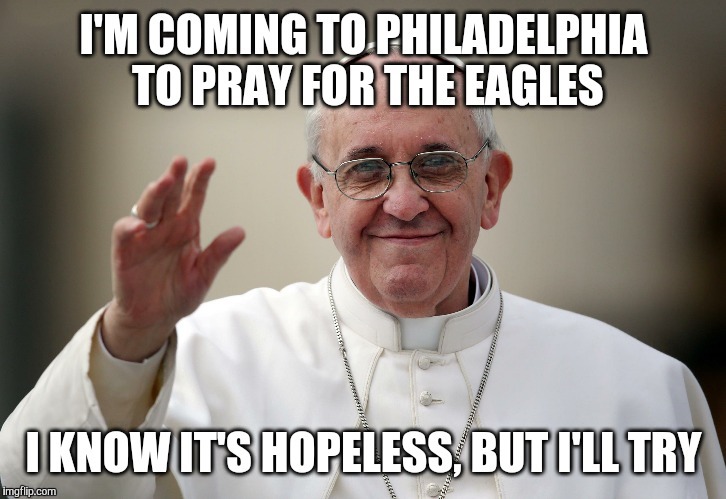 Yes I heard his talk on global warming, his love of the immigrants, his praise of women during the Philly mass and in the Name of the Father, the Son and the Holy Ghost….HE LOVES THE POOR! I wanted to shout to the Pope: “SHUT UP AND SAY MASS”. 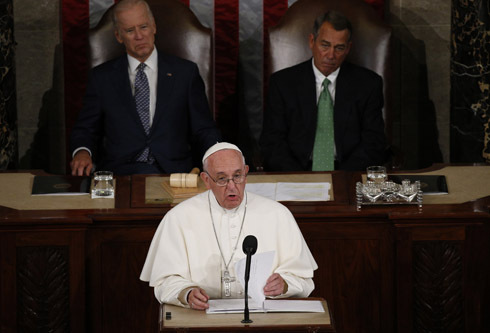 Pope Francis addresses a joint meeting of the U.S. Congress as Vice President Joe Biden (left) and Speaker of the House John Boehner look on in the House of Representatives Chamber at the U.S. Capitol in Washington Sept. 24. (CNS photo/Paul Haring) See POPE-CONGRESS Sept. 24, 2015. Hey, it was one hell of a visit, terrific, full of pomp, circumstance, kissing babies, kissing disabled, recitation of the Golden Rule. 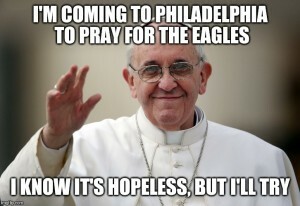 I’m betting Catholic church attendance will increase in the near future, that some former Catholics might return to their church, that some who were thinking of checking it out will come check it out. For I am proud that the titular head of my church receives so much attention and I am proud of how well he held up, how tired he had to be, how he stopped and kissed the disabled and chatted with the audience and never once fell asleep with his busy schedule. I worried myself to death and shouted at the TV that they need to let the poor guy rest. John Boehner made his Sunday talk show goodbye as Speaker but I’m thinking, if he wants, Boehner would make a helluva political talk show host. Hillary made a couple of appearances but she sort of got lost between the Pope and John Boehner. Jeb Bush keeps trying but I ain’t buying. NEXT : Sussex county council cause they’re building everywhere and I gotta figure out what’s going on. 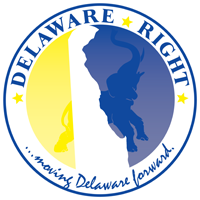 3 Comments on "The National Scene-The Sunday Political Talk Show Report on 9/27/15"
I just have a few points to make concerning the Afghan officials that the US are supporting who are sexually molesting young boys on our watch. Does anybody remember the old cartoons that we used to watch as kids, and they always portrayed the swarthy looking characters with turbans as the villains. Well, there is a reason for that isn’t there. Also I guess the theory that homosexuals are less likely to be pedophiles doesn’t apply in that part of the world, and i’m thinking the theory is a myth anyway. And last…why the hell is Obama letting this happen? More sexual issues from you people. That seems as though it’s all you got. Good luck winning a national office with 1/2 the GOP being uneducated bitter clingers and faux religious fanatics.